PRAYER PROMPT ••• Today, in my community, there’s an event called the Hospice Hope Run. It’s an annual fundraiser and I had hoped to participate this year, but wasn’t able. However, I love and appreciate this organization. They were there in the final days of my grandfather’s life and I know from the time I spent with their nurses — this kind of work isn’t a job. But I think the same about nurses who aren’t specifically working for Hospice. One of my oldest and dearest friends is a nurse and I know she pours her heart into her patients, often turning to Facebook to ask for prayers for people in her care and their unique situations. These professionals work tirelessly, are on their feet for hours on end, they handle situations that require strong stomachs and yet, they offer compassion and work to preserve dignity to the ones in their care. 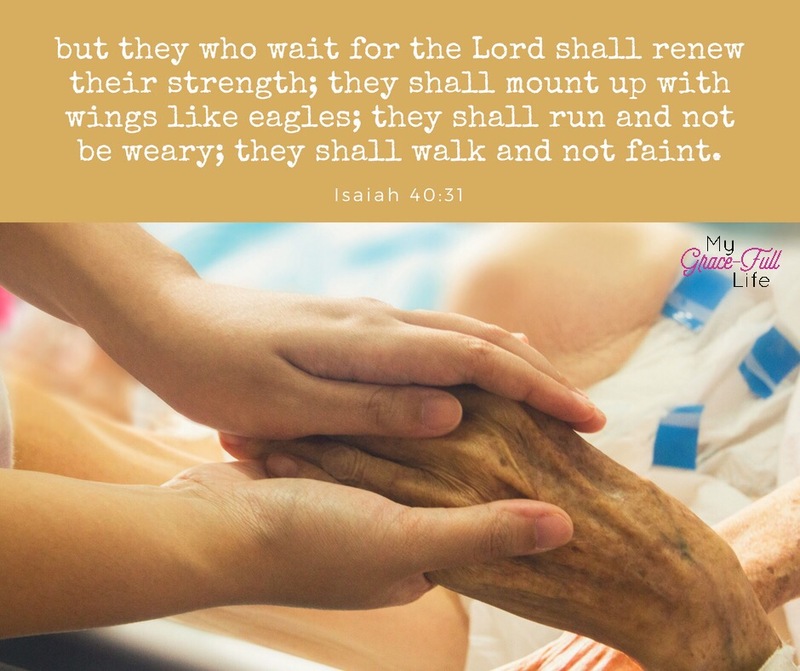 Today, as you pray, ask God to bless those who serve as nurses… whether they are caring for those who are trying to get well, or caring for those who are at the end of their life.